Don’t see what you want here, or anywhere? Tired of the search, can’t find exactly what you want, don’t know what would be best, or worried that you might make a costly mistake? If so, you are in the right place. When you use my Find-A-Sax service, I will use my knowledge, experience and connections to find you the perfect sax for your situation, overhaul it perfectly and deliver it to your door. You will experience a worry-free, curated and educational buying experience unlike anything you can find anywhere else (edit late 2016: except GetASax.com, which has a similar and excellent finder’s service that often uses me for repairs). Because I only purchase the best saxophones to start with and then give them each a full mechanical rebuild overhaul, I am not the cheapest way to acquire a saxophone, but I do aim to provide the best saxophone per dollar spent. Let me know what you are looking for- and give me as much info as you can. Do you have a very specific model, make, finish, and serial number range in mind? Or do you have a budget and a tonal concept? Or just a tonal concept? Or just a budget range? Or maybe you would like some advice and input from someone who really knows saxophones inside and out to make sure you make the right decisions along the way. Once we figure out what horn to acquire, I will give you an expected price range and a rough timeline based on my expectations of how long it takes me to find a really clean example of the instrument we are looking for, how much it should cost to acquire, and how much the overhaul should cost. And then if all this sounds good to you, you pay half the estimate up front and then pay the remainder of whatever the real cost ends up being when the horn is overhauled and ready to ship to you. 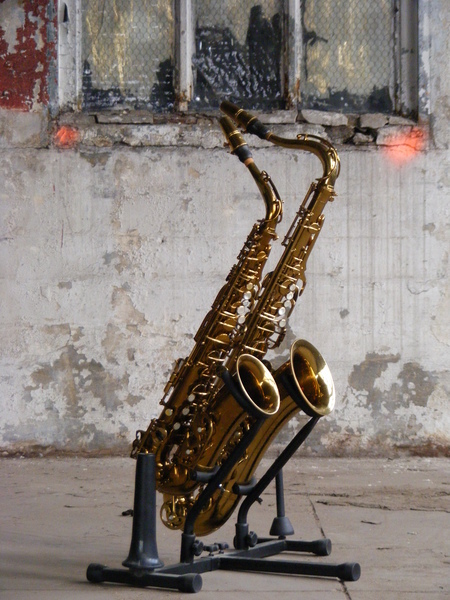 If this sounds like it would work for you, let’s find your next saxophone. Call me or email me (info on my contact page) to get started.